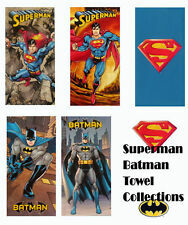 DC Comics Superman Batman Justice League Beach Towel Collections 30"x60"
Superman #149!! DC Comics - 1961!! "The Death of Superman"!! Unrestored, VG!! Superman #148!! DC Comics - 1961!! Unrestored, VG!! Vintage 1988 DC Comics BATMAN Beach Bath Towel 24.5" x 45"
This page was last updated: 19-Apr 20:31. Number of bids and bid amounts may be slightly out of date. See each listing for international shipping options and costs.